As leading Bournemouth commercial cleaners Arkright Cleaners Bournemouth offers a full range of business cleaning services to corporate companies, offices and businesses, both large and small, throughout the Bournemouth region. We are proud to have a large client portfolio of local Bournemouth businesses on our books. This is mainly to do with the high level of cleaning services we provide. 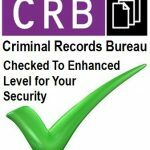 We only employ reliable, CRB checked trustworthy staff. Great business cleaning when you need it, super competitive rates and fully insured cleaners. Arkright Cleaners Bournemouth provides experienced hard working office cleaners in Bournemouth and we guarantee a dust free space and immaculate premises at most competitive prices. From small offices to big commercial buildings the Arkright Cleaners Bournemouth offers personalised and individually tailored one-off, weekly and monthly cleans as well as commercial contract cleaners for all our commercial clients. Before our business cleaners start Arkright Cleaners Bournemouth will inspect your premises to ascertain the type of cleaning you require as well as make sure we implement the proper health and safety checks. After that we will create a specialised task list describing all the duties of your cleaner. This task list will incorporate every aspect of the cleaning requirements your business has. You allocated cleaner and their cleaning supervisor appointed by Arkright Cleaners Bournemouth will make sure all the jobs have been meticulously cleaned before there log off. If you are looking for affordable Bournemouth commercial cleaners then Arkright Cleaners Bournemouth will not only beat any quote your receive but also exceed your business clean expectations in performance, cost and reliability. Call 0800 292 2117 now for FAST, FREE, BUSINESS CLEANING QUOTE.